If there’s one thing we love, it’s when celebrities and their kids look exactly alike. Seeing out favorite stars with their mini-mes is just too much fun. 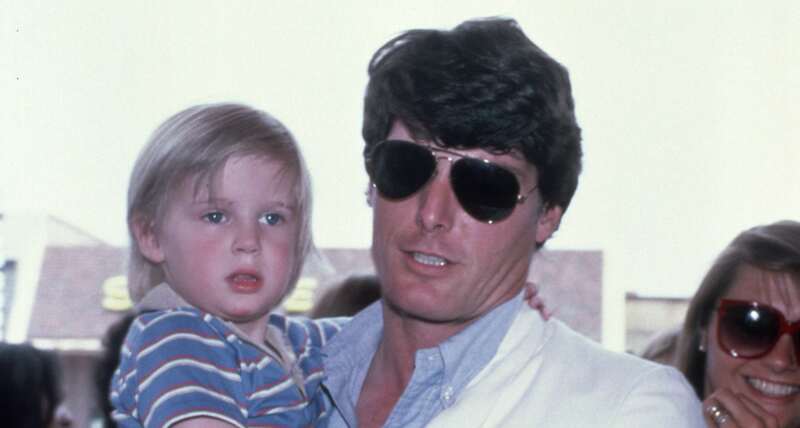 Unfortunately, we’ll never see Christopher Reeve’s son, Will Reeve, side-by-side with his dad even though they look exactly alike. Reeve, who was an actor, director, producer, screenwriter and avid equestrian, is probably best known for his role as Superman in the 1978 film Superman: The Movie. He died in 2004, but his legacy absolutely lives on in Will, who is a dead ringer for his dad. And in case you didn’t know, that means he’s really, really ridiculously good-looking. Tune in at halftime of the @pac12conference Championship Game on @espn. I’m hosting the @drpepper Tuition Giveaway. $100k in tuition money on the line. Cranking @drpepper in preparation. Yep, feast your eyes on that tall drink of water. He’s definitely got his dad’s classic good looks. Man is chiseled. What I lack in accreditation I make up for in enthusiasm. My day as a @yankees Stadium tour guide on @sportscenter this weekend. No new friends on @sportscenter. Great time chatting live with the inspiring, motivating, and generally amazing @dlaing24, who can now add finishing the @bostonmarathon to her list of accomplishments. Spent my Monday making ice cream @amplehills. They've created a @nyrangers themed "Hat Trick" flavor just in time for the playoffs. The batch I made is sure to be the best (threw in some extra red and blue M&M's), but no matter what, you have to try it. It's insane. And, it turns out, incredibly fun to make. Full feature coming Sunday on the #MSGHockeyShow on @msgnetworks. And he’s clearly a sweetheart too; just look at this tribute he wrote for his late dad. More: Where Do Celebs Really Buy Their Kids’ Clothes? “We throw the word ‘legend’ around pretty loosely. Here is a legend. He’d be 65 today. Happy birthday to the Big Cheese!” he wrote. So sweet!